What’s pretty cool about this holiday mashup is that it hasn’t happened since 1888. And the next time will be in the year 79811, which pretty much means never. But let’s be honest. 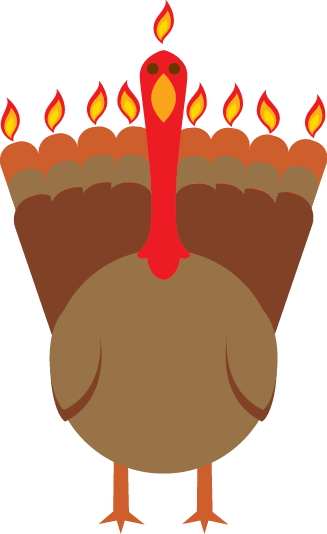 The hype over the collision of these two holidays celebrating freedom of religion is over the food. The possibilities are endless. Pumpkin cake doughnuts? Challah stuffing? Horse raddish chive mashed potatoes? 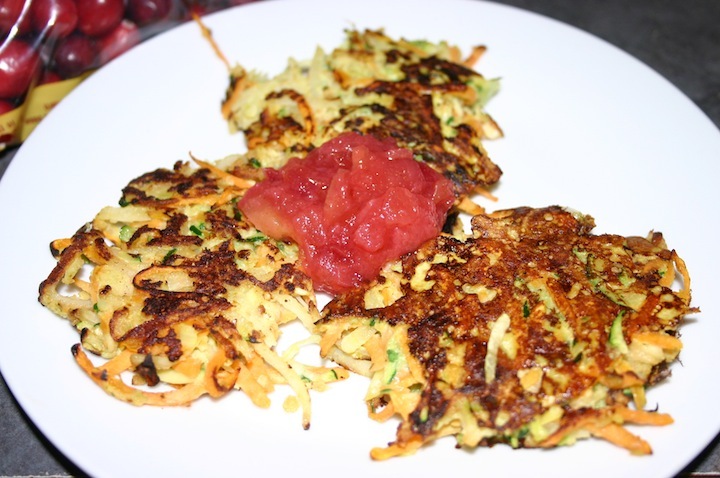 But let’s just keep this simple with something everyone loves: latkes and cranberry apple sauce. What’s nice about these recipes is that both are healthier than usual and still delicious. 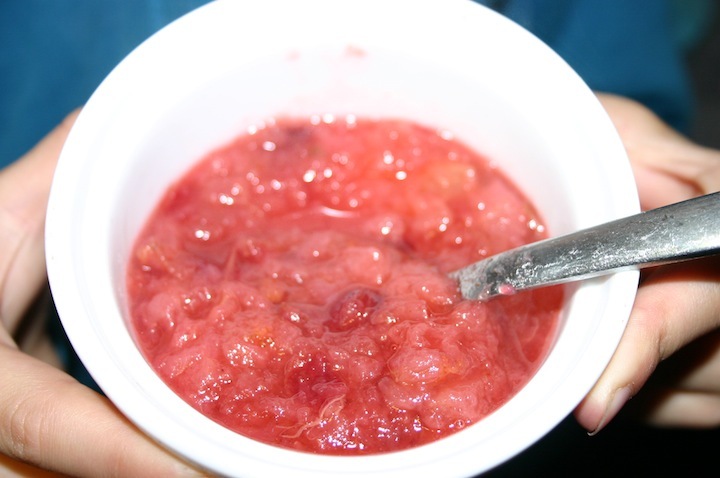 The apples sweeten the cranberry sauce–a dish that normally needs a lot of sugar. And the root vegetable latkes were great cooked in coconut oil spray. Cut apples into large chunks. You can peel them first, but it’s not necessary. 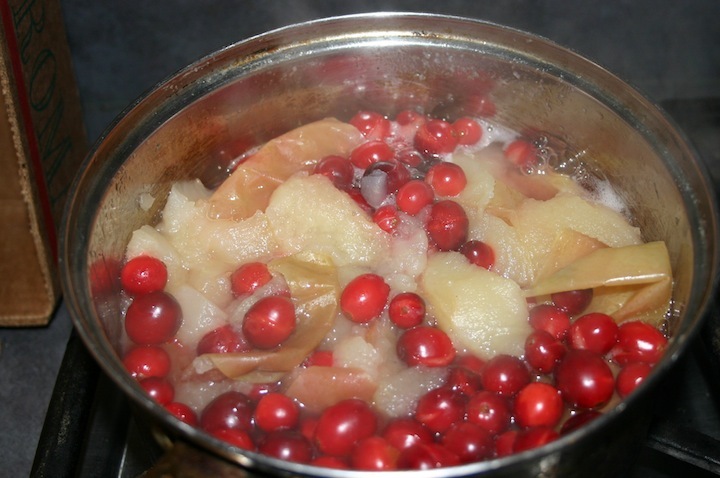 Rinse cranberries and add them, along with the apples and cinnamon to a sauce pot with the water over a medium flame. Bring to a boil and then simmer for 20-30 minutes. Stir and add honey. It tastes incredible hot, but try to save some for the latkes. 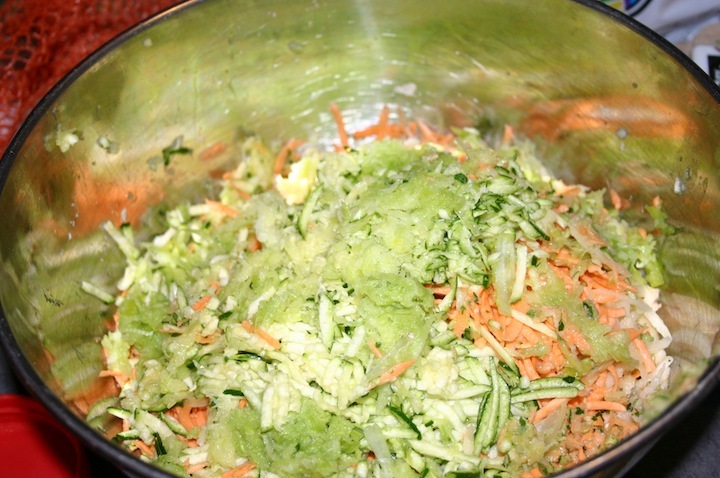 Shred your veggies in a food processor or grater. Place in a colander or cheese cloth and squeeze out every possible drop of water. Mix together veggies and all other ingredients (except oil) in a mixing bowl. Heat oil in pan over medium-high heat for about a minute (If you’re using coconut oil spray, the process is the same, but your latkes will not brown or stay together as well.). Add packed spoonfuls of vegetable mixture and flatten with a spoon. Let sit until edges become brown (about a minute or so) and flip. Let cook another minute. Serve with cranberry apple sauce. 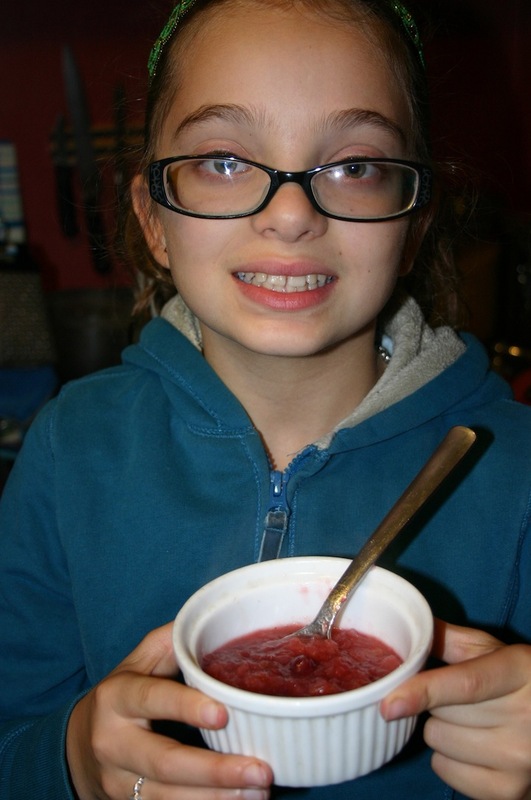 I love the idea of a cranberry apple sauce! I have made root latkes and they certainly are delicious. This is a good choice for the newly created holiday. Nice change from potato latkes.